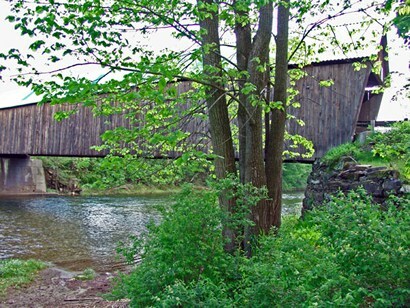 Vermont, Maple Syrup and Covered Bridges. 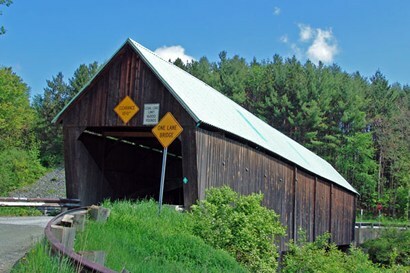 In search of covered bridges along our path, we entered Vermont the Green Mountain State at Fair Haven continuing on to Rutland, VT our destination on this day late in the month of May. There could have been good photos to be made along the way, but we were greeted with only rain. As we left Rutland the next morning heading toward Killington things looked very pretty. Passing near the small town of Brandon we came to the quaint town of Bridgewater, where a stream ran along the side of the road. The stream sparkled like diamonds in a shaft of sunlight reminding us of sparkling water. 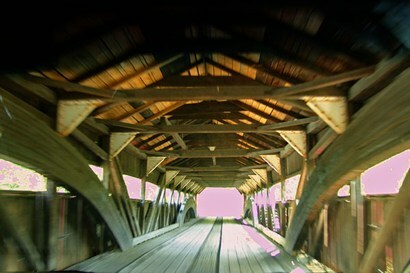 Our first stop was the Lincoln Covered Bridge near Woodstock that crossed the Quechee River. While making photos a meadowlark sang its song for our enjoyment. We had passed in the town about 10:30, just as the towns people were lining the streets to be spectators of the soon to pass Memorial Day parade. We were almost trapped into being part of it. 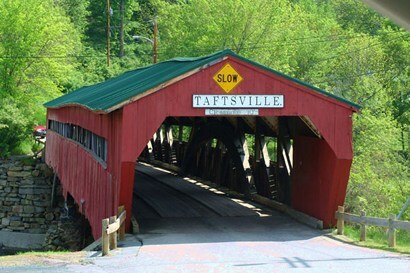 We moved on to Taftsville Covered Bridge over the Ottauqueche River past the hydroelectric power station. 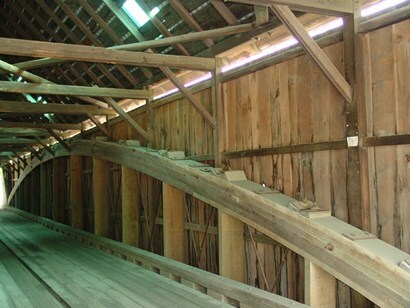 This is the oldest bridge in Windsor County and Vermont ranks it fourth among the surviving wooden truss spans. It appears to be heavily traveled. Here we also spotted many yellow and black butterflies. Near Sugar Bush farms we stopped to see a film on how Maple trees are tapped to extract the liquid that is cooked down into maple syrup. If you have ever seen Ribbon Cane Syrup cooked around Rusk TX, you won�t see much difference cooking maple syrup. In 1964 Roger Miller found a need to call it �Surple� as he wrote �Dang Me� in just 4 minutes. In a burst of brilliance he came up with �surple� to rhyme with purple. Dang Me stayed on the Billboard charts for half a year. Woman would you weep for me. On a hillside we saw cutout figures at (what looked like) a nursery called �Fool on the Hill.� Actually a closer look allowed us to see it was a simple tourist trap, so we continued on. It was noticeable because this State is all trees and streams and almost no signs are allowed. In a few miles we came to the Quechee Gorge, which according to what little we could see, was spectacular. Many people were lined up on the bridge taking photos. 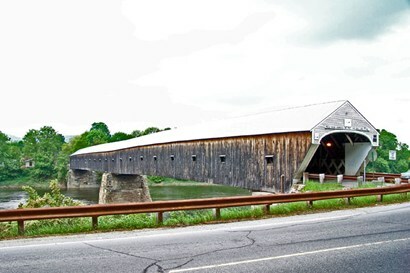 After stopping at the Hartford Vermont Welcome Center we headed for the Cornish Windsor Covered Bridge the longest such bridge. 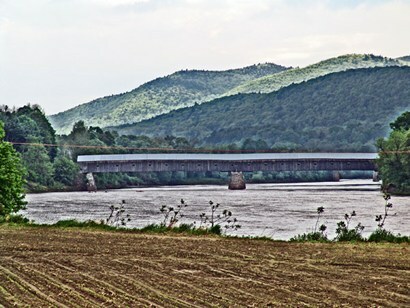 At the bridge, upon leaving the west bank to cross the Connecticut River, you simultaneously leave Vermont. 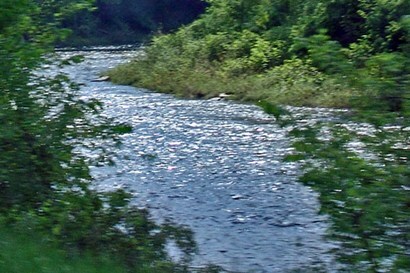 The river and the other side belong to the State of New Hampshire. 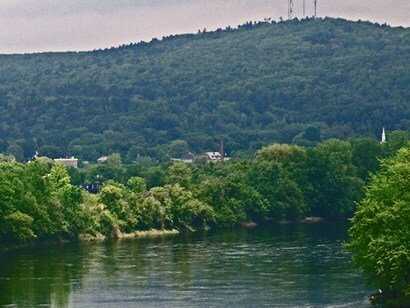 Windsor is where Vermont was founded in 1777. The next morning dawned veiled in heavy fog so first we filled our gas tank. As we drove easterly along Hwy 302, the weather cleared up almost immediately. We saw more moose signs and floating fuzzes in the air, likely from area cottonwood trees. 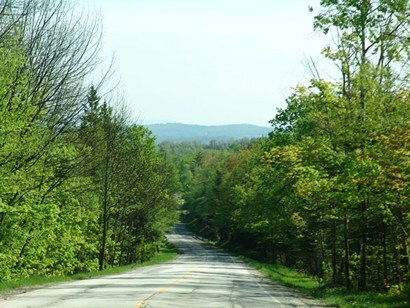 We passed Groton State Forest and in the town we saw a couple of signs that said �Take Back Vermont�. 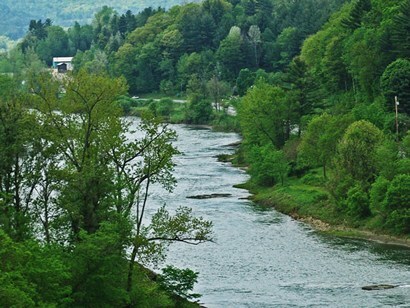 We passed through Ryegate, VT where a stream began running beside us, first on the right side of the road � and then left. Around Wells River many roadside flea markets entertained us for a few miles. The wilderness began encroaching on our views giving me a feeling I could write a ghost story, named �The Bridge Uncovered�. Nah, I will need more signs, Oh well. 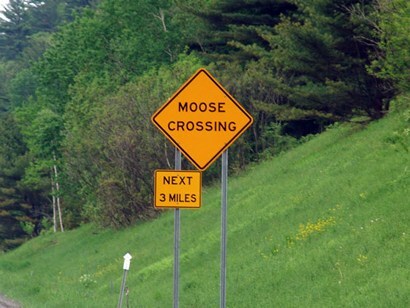 Suddenly we realized we had left Vermont somewhere back in the trees. No road markers, of course. Franconia Notch, NH here we come.